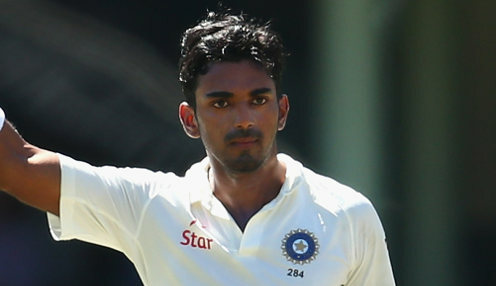 KL Rahul has completed his century as India battle to save the fifth Test against England at The Oval. Rahul made his fifth Test century just before lunch on the final day of the series, which England lead 3-1, as the tourists reached the interval on 167-5. It was a relatively quiet session after the drama and emotion of Monday's play when Alastair Cook scored a century on his final Test innings for England. India had been 2-3 at one stage on Monday afternoon before rallying to close the day on 58-3. They survived for 80 minutes on Tuesday but then lost two wickets in quick succession. Moeen Ali made the breakthrough when Ajinkya Rahane (37) attempted to sweep the Worcestershire all-rounder but only managed to chip the ball to Keaton Jennings at mid-wicket. Rahane and Rahul had put on 117 runs for the fourth wicket but Hanuma Vihari was soon back in the pavilion when he edged a short Ben Stokes delivery through to wicketkeeper Jonny Bairstow without troubling the scorers. Jimmy Anderson failed to take the one wicket he needs to become Test cricket's most successful fast bowler as Rahul, unbeaten on 108, and Rishabh Pant, 12 not out, survived until lunch. England can be backed at 1/200 to win the fifth Test, while the draw is available at 20/1.